The term “apnea" (sometimes written also as “apnoea”) is used to describe the suspension of breathing. In water sports the terms refers to voluntary breath-holding keeping the face below the surface of the water. In underwater sports, the term free-diving is also commonly employed referring to all aquatic activities involving breath-holding. Common, recreational, free-diving activities are snorkelling, spear-fishing or underwater hunting (non-competitive) and underwater photography, to name but a few. Competitive free-diving includes all apnea competition disciplines (to be presented below), underwater rugby, underwater hockey, underwater target-shooting, spear-fishing (competitive), apnea finswimming as well as disciplines not administrated by CMAS like synchronised swimming. The terms apnea and free-diving are used interchangeably but most often the term free-diving is reserved to open water activities. Archaeologists found that people have been earning their sustenance from free-diving since thousands of years. There are many indications of free-diving activities around the Mediterranean Sea, the tradition of the skandalopetra sponge divers going back to the times of Alexander the Great. The Ama divers from Japan began to collect pearls probably 2000 years ago. Even more ancient are the famous Haenyeo in Korea, who collected shells and sponges by free-diving. Spear-fishing has also played an important role in the development of the sport of apnea. The human body has several adaptations under diving conditions, which stem from the mammalian diving reflex. These adaptations enable the human body to endure depth and lack of oxygen far beyond what would have been possible without the reflex. Bradycardia: drop in the heart pulse rate. Vasoconstriction: shrinking of blood vessels. Blood stream is directed away from the limbs for the benefit of the heart, lungs and brain. Splenic contraction: releasing of oxygen carrying red blood cells. Blood shift: when descending,depending on pressure,blood plasma fills up alveoli in the lungs till the residual volume. Without this adaptation, the human lung would shrink and collapse, causing permanent damage, at depths greater than 30 meters. CMAS is the official international federation for free-diving, recognised by the IOC. The organisation of World and Area Championships is governed by CMAS. Competitive free-diving is an individual sport based on the best individual achievement. All CMAS free-diving disciplines are equally open to men and women. The competitive disciplines can be part of a competition or of a record attempt. Depending on the discipline the athlete can use either a monofin or bi-fins or no fins at all. When fins are used, they must be powered only by the muscular power of the athlete, without use of any mechanism, even if the latter is activated by the muscles. In specific bi-fins competitions no dolphin kick is allowed except in a 3 meters zone at the start and turning zones. Static Apnea is an event where the athlete aims at performing a maximum duration apnea minimally over a time declared beforehand and if possible going beyond this time. Dynamic apnea is an event where the athlete aims at covering the maximal horizontal distance by keeping the body below the surface of the water in apnea with or without fins. The event can be conducted in a swimming-pool or in open water and with the use of fins (bi-fins only and monofin & bi-fins as separate competitions) or without. Speed-Endurance apnea is an event where the athlete aims at covering a fixed distance at the minimum possible time. The event is conducted in a swimming-pool and is swum in fractions of a pool length alternating apnea swimming with passive recovery at the pool's ends. The event is swum with of fins without distinction between bi-fins and monofin and with a single classification, which means that the style of swimming with bi-fins is free. The typical distances of speed-endurance apnea are Speed 2x50m and Endurance 8x50m and 16x50m. Jump Blue is an event where the athlete must cover the maximum distance in apnea around a square of 15 (fifteen) meters side situated in a depth of 10 (ten) meters. The event takes place in open water (sea or lake) and the use of fins (bi-fins or monofin) is mandatory. 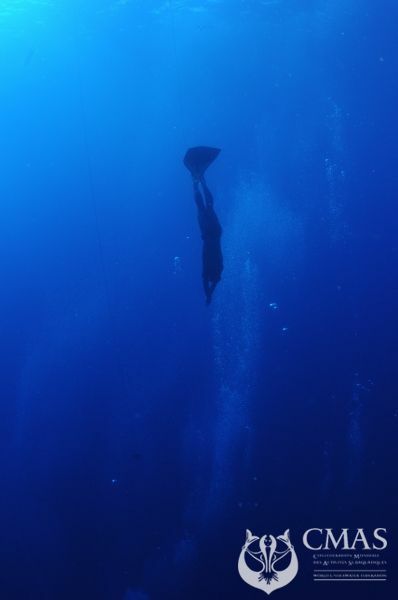 Constant Weight Free-diving is an event where the athlete must cover the vertical distance in apnea down to the declared depth without any change in his weight during the whole attempt with or without fins. The event takes place in open water (sea or lake) and the use of fins (bi-fins only and monofin & bi-fins as separate competitions) or without fins depends on the type of the competition. Free Immersion Free-diving is an event where the athlete must cover the maximum vertical distance in apnea to a declared depth without using ballast or fins. The event takes place in open water (sea or lake) and the athlete is allowed to pull on the guiding rope. The use of any mechanism even if the latter is activated by the muscles of the athlete is prohibited. Variable Weight Free-diving is an event where the athlete must cover the vertical distance in apnea along down to the declared depth with a guided ballast device and return back with his own power. The event takes place in open water (sea or lake) and use of fins (bi-fins only and monofin & bi-fins as separate competitions) or without fins is optional. Skandalopetra is a recreational apnea discipline with historical roots. The name comes from the Greek words "scandali" (trigger) and "petra" (stone). It is precisely this stone which forms the basis of this discipline. The athlete dives with the help of a stone (usually a marble slab) attached to a rope. Skandalopetra is a team event: one athlete dives and one is waiting at the surface. When the first athlete reaches the desired depth, the second starts hauling him up. For CMAS championships the organising country must select among the disciplines recognised by CMAS. This allows the countries which do not have open water to organise a championship in pool only. National team ranking is expected to be based on the total number of medals according to the Olympic standards. National competitions may be open to international participants. It is strongly recommended that for such open competitions the Main Judge be an International CMAS Judge. 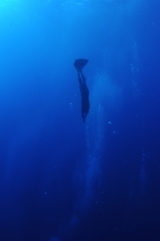 Free-diving is also a recreational sport, celebrated as a relaxing, liberating, and unique experience. Many snorkelers are technically free-diving when they perform any sort of breath-hold diving. Thus proper training to free-diving and supervision are of the utmost importance. Like other water sports, free-diving has beneficial and therapeutic properties. 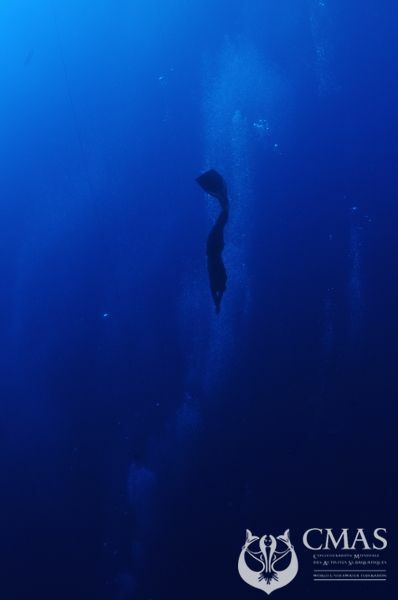 The experience of freedom in an underwater environment makes free-diving somewhat of a personal and spiritual journey for many. Yoga is used by many practitioners in order to increase focus, breath control and overall performance. Without proper training and supervision, free-diving can be extremely dangerous, This is why CMAS created free-diving training programs and courses based on the experience of certified CMAS instructors from all over the world. The aim of these programs is to maximise the safety and the comfort of the participants. The motto of CMAS education is: a trained free-diver is a safer free-diver. The system of CMAS International Free Diver Courses allows free-divers who have trained in accordance with the standards of CMAS to have their qualification recognised in countries which are part of the CMAS family of divers, throughout the world. It is intended that, no matter where in the world a free-diver receives training, he or she will be able to visit other areas and be accepted as a free-diver with competence and experience equal to that indicated by the qualification held. 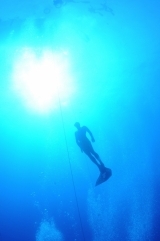 The CMAS International Free Diver Certificates are evidence that the holder has received training up to the minimum level defined for each grade of certificate. The system consists of four levels of Free Diver qualifications. In all cases, increased competence and experience is indicated by an increasing number of levels in the description and the emblem. 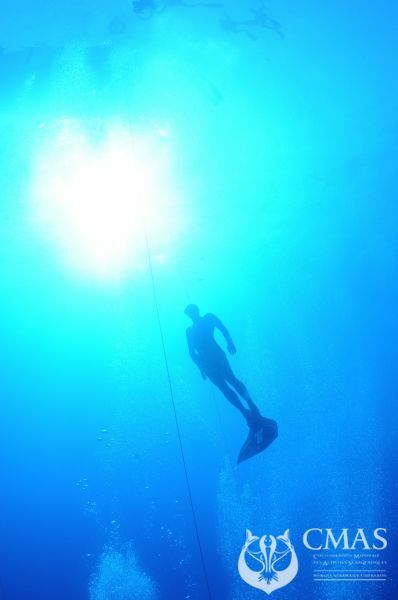 A free-diver who is trained in the basic free-diving techniques, in a sheltered water training area and is able to dive, under the supervision of an experienced free-diver. A free-diver who is competent in the safe and correct use of all free-diving equipment in a sheltered water training area and is ready to gain open water diving experience in the company of an experienced free-diver. 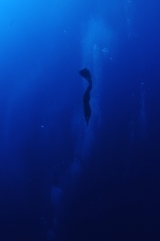 A free-diver, who has gained open water experience and is considered ready to take part in dives partnered by a free-diver of at least the same or higher grade. A fully trained, experienced and responsible free-diver, who is considered competent to lead other free-divers of any grade in open water. He will be competent to be assistant to an Apnea Instructor in order to achieve major tasks or course objectives. The system consists of 3 levels of Free Diver instructor qualification. In all cases, increased competence and experience is indicated by an increasing number of levels in the description and the emblem. A Level Free/Pool diver who has attend an Instructor course, has knowledge of the techniques of free-diving instruction and is competent in practical instructional skills. He is qualified to direct and certify a full CMAS discovery pool diver, pool diver 1* as well as discovery free diver, 1* and 2* Free Diver Courses. An experienced 1* Star Free/Pool instructor who has the knowledge, skills, and experience required to teach groups of divers in the classroom, pool, open water, and can assist in the training of 1* Level Free/Pool Instructors. The experience is recognised after 50 certifications (40 certifications of Free divers from 1* and 2* star apnea diver and 10 from every other level). He is qualified to direct and certify all CMAS pool diver and Free diver levels. A fully experienced 2* Star instructor who has completed a 3* Star Free/Pool Instructor course and is competent to train all grades of pool divers, Free divers and Instructors, to take responsibility for the conduct of all Free diving courses, specialised training courses and special events.